We all know that winter miles = summer smiles, but how can you as a rider get the very best out of your valuable winter training time? We’re please to announce our first metabolic profile testing date at Bike Science Bristol – Saturday the 26th of November. With a simple VO2 Metabolic assessment you can cut out the guess work and make sure you are getting the most out of every session. You will find out how many calories you are burning at a range of intensities and what percentage is fat or carbs (essential information for any endurance rider or triathlete). 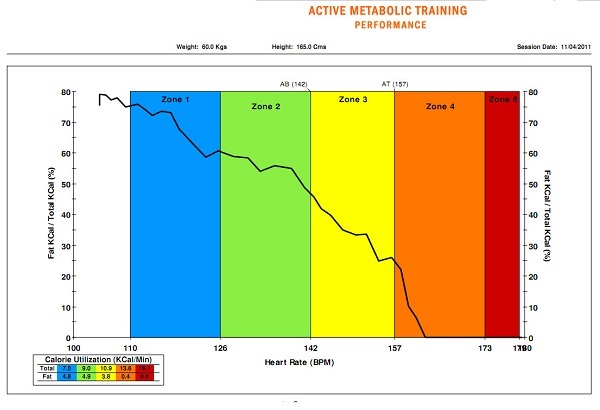 You’ll discover where your aerobic and anaerobic thresholds are and how they determine the zones you need to train in to get the best results. We’d recommend using one of these sessions to set your training zones early in the winter, then re-testing as the season approaches to assess improvements made. Information is Power, Power = Performance. Price is £95 which includes a comprehensive set of test results and advice regarding training goals. This entry was posted on Monday, October 10th, 2011 at 7:41 pm	and is filed under Affiliate Coaches, All Posts, Riders. You can follow any responses to this entry through the RSS 2.0 feed. Both comments and pings are currently closed.